One integral element I always look for when choosing a destination to travel to for fun is the food. 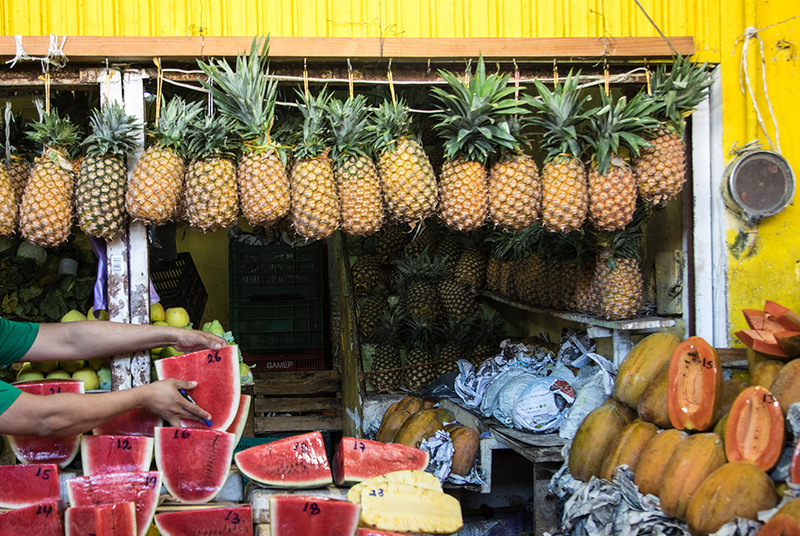 Mérida has its fair share of mouthwatering menu items to feast on, from modern eateries popping up on street corners to local typical street side and ‘mercado’ foods. I’m always curious to dive deeper into the typical foods of a region, so I was thrilled when local chef, teacher, and writer Will Rodriguez invited us into his home for a typical Yucatán breakfast. We started with fresh papaya and yogurt, followed by eggs mixed with longaniza (similar to chorizo and only found in the Yucatán), black beans, pickled onions accompanied by red + green tortillas to wrap it all up. Once breakfast commenced, we were off to tour the Mercado Lucas de Galvez in the ‘centro’ to try even more typical foods. Aside from the twice-as-large local avocado or aguacate in Spanish, I discovered so many more interesting foods in this Mérida market. 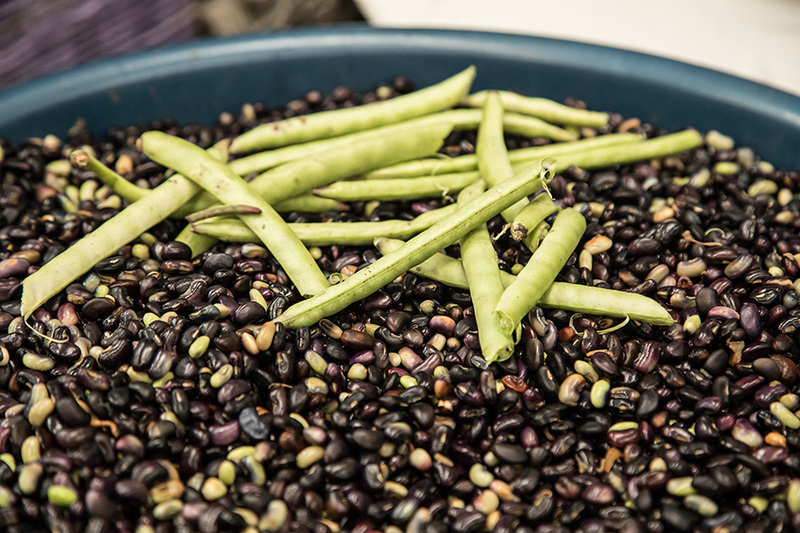 El espelón is a bean typically added to masa in traditional Yucatán dishes. Two examples are the Píb, which is a typical delicacy for the “Día de los Muertos” (Day of the Dead) cooked on the ground in the patio. Also used for a special meal called “Chilmole.” It burns the chili until it turns black. You then wash the chili to remove the smokey flavor before grounding it with oregano, pepper, and garlic. This seasoning is stirred with espelón beans, or parboiled ibes, to give flavor. 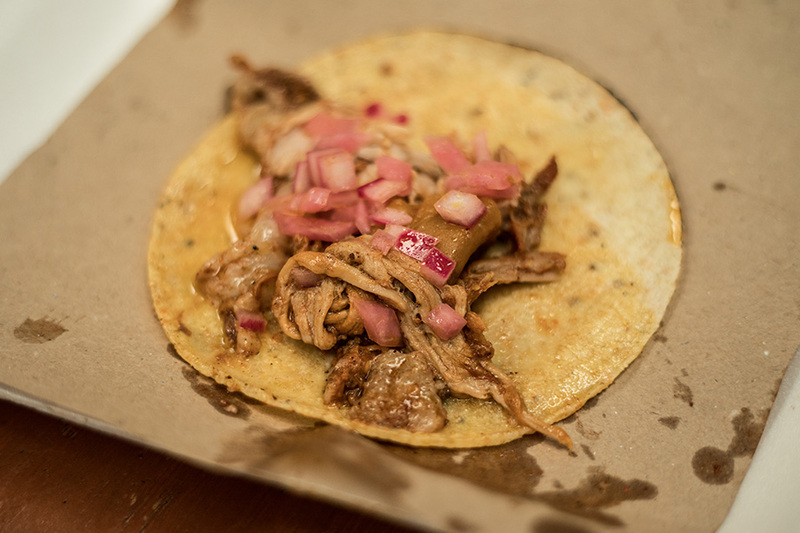 A type of taco, cochinita pibil is the most famous dish originating in the Yucatán, prepared with pork meat marinated in achiote (anato) and wrapped in banana leaves. Pibil in Mayan means “under the ground,” which is how it is traditionally cooked over hot stones. This preparation, as well as many other Mexican recipes, has pre-Hispanic roots and still preserves the technique of cooking within ground ovens—holes with stones heated for hours over firewood. It’s typical for people in Merida to eat cochinita on Sundays. 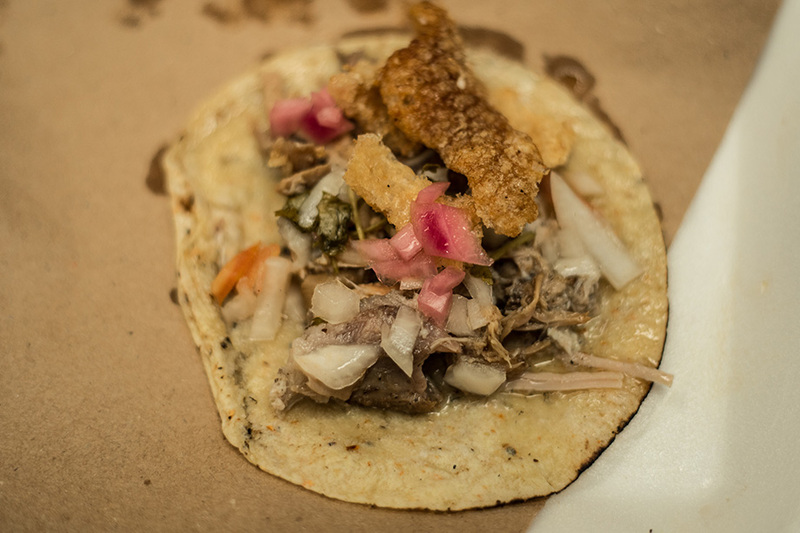 Lechón al Horno is a type of taco mixed with many spices, marinated with orange and salt, and cooked in a stone oven and served with pork skin on the top, ‘chile max’ (a spicy chili) and squeeze of lemon. Chicharra is similar to a pork rind. This is the skin of the pork after it has been seasoned and deep-fried. 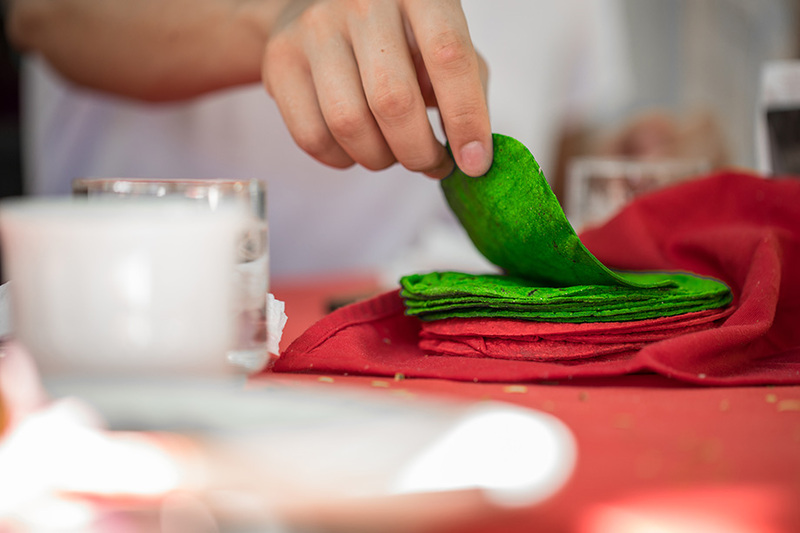 In the Yucatán, they are served in a taco or gordita with salsa verde. Pepino blanco translates to ‘white cucumber’ and often used in Agua Fresca. 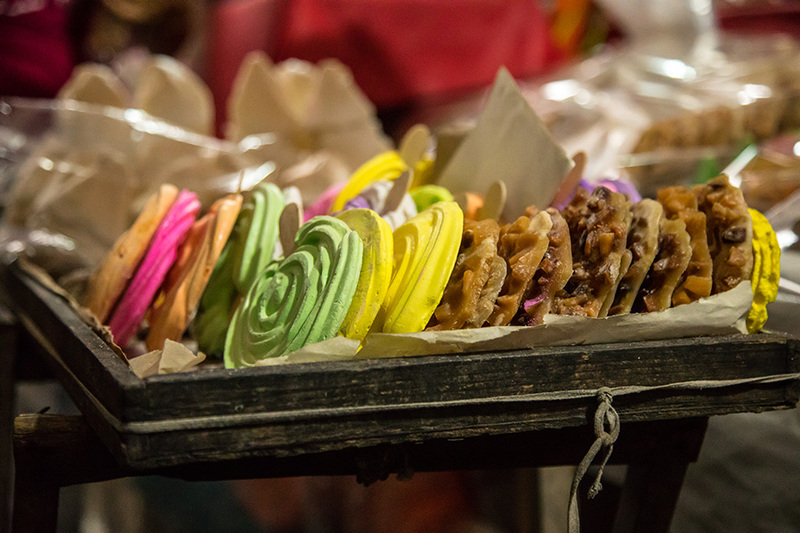 Izhua is the mayan name for a kind of arepa locals refer to as a ‘Mayan cookie’ original to the Yucatán. Sunchos is the word locals use for marshmallows in the Yucatán. The name is malvaviscos throughout the rest of Mexico. What’s the most interesting typical food you’ve tried while traveling? Share your response in the comments below. Durian in Koh Yao Noi, Thailand! Loved this video Kristen! 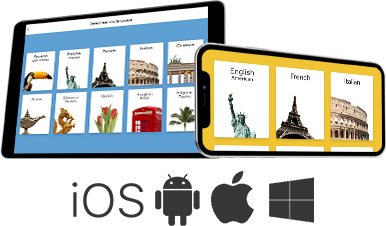 Great job on your Spanish as well. Such an amazing video!! I love everything Kristen creates and if I can learn a little bit of a new language along the way, even better! I had the most delicious food in Mexico, but cannot remember what it was called. Of course it is hard to go wrong with tacos and nachos there. I am usually up for trying most new foods.